There’s a lot you can do to get your home into shape so that it can command a niftier price tag once you decide to put it in the market. In the past, I was quite stingy about maintaining my house, not really appreciating my role as a homeowner. I used to think “why bother?”, I was too busy working on my career and spending long hours at work anyway — so I couldn’t find the motivation to do much for my poor house. Then I got married and the thought of having kids somehow turned on my nesting instinct like nothing else could. 😉 We decided to buy a newer house and put our older one on the market in 2001. Well, that was when I realized how far some tender loving care will go to help out your home’s price tag. We didn’t spend too much on giving it a little makeover — just a few touches, like you see in the sample images below (of someone else’s painted home, not ours). Threw out tons of clutter. TONS. I couldn’t believe how much clutter we accumulated in a decade; t’was the equivalent of cubic space that was four times our 2 car garage. It was shameful! Cleaned our carpet for the first time in goodness knows when (these days I’m on a strict schedule as I insist on professional home cleaning services at least once a year! ); it’s amazing how your flooring changes color right before your eyes after a wash! There were other more medium-sized repairs we had to do due to our lack of vigilance over some wear and tear that had occurred throughout the years. But barring those projects, our small fixes must’ve cost us but a couple of thousand dollars, if not less. The reward? During a minor slump in the housing market due to the aftermath of the 9/11 tragedy, we were still able to sell our home for tens of thousands of dollars more than we expected it to sell for. But as seller’s regret goes here in California — looking back now, if we had just held on to that home and rented it out instead, well we would be making out like bandits right now. The property has since appreciated by 50% to 60% from our sale price back then. But I digress. As we sob ourselves away from the bank (missing out on an extra opportunity to ride this century’s big boom in California real estate with our old home appreciating much more in percentage terms than our new home has), the moral of the story still remains, that by doing just a few small, inexpensive fixes to your home, you can potentially increase the appraised value of your home. If you’re a home seller who’s brave enough to participate in this sluggish property market, then it becomes all the more important for you to make your home stand out amongst similar homes in the market. Here’s what real estate experts are saying you should do to allow your home to display it’s full value so you get your asking price (or more)! You’ve heard the saying that you never have the chance to make a second first impression? This couldn’t be more true when it comes to your home’s curb appeal. What do potential buyers see when they first glance at your home from the street? Lawns that are overgrown, patchy, or otherwise unattractive will really stand out, as will bushes that have not been maintained. For a few hundred dollars, you could hire a professional lawn team to come in and clean up, to provide a little easy-to-maintain landscaping and to allow your home to give that nice, first impression. A nice yard can add 5% to 10% more to your property relative to similar homes in your neighborhood. Once the potential buyer walks through your front door, they should be wowed by the cleanliness. A sparkling home just screams that it’s been properly maintained. Even if you clean regularly, chances are, there are things you don’t notice because you live there. Spend a couple hundred dollars and bring in the professionals for a top to bottom clean. With a pressure wash and window cleaning, your house will surprise you with a new look. Replace your light bulbs with their energy efficient counterparts and consider upping the wattage; it’ll make your house look brighter! When you upgrade wobbly ceiling fans and change faucets that leak, buyers will see these as major advantages. And while you continue to reside in your home, you’ll be saving on your utility bills and doing your part for the environment. Give the illusion of increased square footage. Go for that light and airy feel: trust me, people will be more attracted to your home if it has a spacious feel. I was one of those home shoppers at one point who turned away from a fairly nice home just because it projected the wrong ambiance. Obviously, a home addition is out of reach when you’re on a small budget, but you can make your home feel visually bigger. Clear out clutter, replace heavy curtains with blinds that let some light in, and arrange the furniture to create the illusion of more space. Also, make sure you confirm the correct square footage of your home so you can price your home accurately. The county assessor may not always have the right information on file for your residence. With a little decorating, you’ll immediately lift the mood in your home. How about appealing to all the senses and breathe life into your abode? Some people take it a step further by having their homes professionally staged, but it’s a cool DIY project if you have the knack and talent for this. My suggestion? Keep your home neat and tidy all year round and you won’t ever have to worry about staging your home. For the eyes: seal cracks, replace outdated and broken fixtures, add color through art, fabric and interior plants but use semi-gloss neutral paint for your walls. For the olfactory nerves: I’ve used potpourri, flowers and candles but too much may overwhelm. For easy listening: classical music may be nice, but it depends on whom you’re catering to 😉 . Even though this work may have a cost, think of what you’re spending as an investment which you’ll be recouping once you sell your house. Many homeowners are able to get back 80% to 90% of what they’ve spent, in some cases! Knowing this, I’ve never been too guilty about shelling out the bucks for the professional help. Carpets! People who are moving from a rental or apartment will be drawn in by clean, plush carpet (an apartment rarity). The cost of a steam cleaner is pretty negligible. Perfect suggestion. I’d also suggest planting trees as soon as possible–especially if you’re not planning on moving for a few years. By the time you’re ready to hit the road, those affordable starter trees can add thousands to your property values once they’re grown in. A few times when we have gone to list a property we have found sellers that have spent 15k updating the electrical but have failed to make less expensive exterior changes (paint, replacing a rotting board) assuming buyers can see past that. The one thing we have discovered is that buyers say they can look past problems but in general they don’t. A picture tells a thousand words! 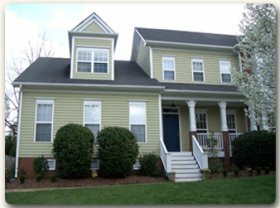 Great post, it’s amazing what a difference that vinyl siding makes. It’s like night and day. I can’t tell you how many times I have had clients drive by a house and not even want to see the inside just because of how bad the exterior curb appeal was. It doesn’t matter what you do inside like you said, if nobody can picture themselves living there because of your exterior. Decluttering, removing excess/old/unmatched furnitures, and painting are the most frugal way to increase your house value. Good post! Ha! We’re trying to buy a 75+ year old house right now and I WISH the sellers had put money into updating the electrical (which, we just learned, is so bad it’s a safety hazard) instead of doing the curb-appeal thing. That’s an amazing difference in before and after photos. I totally agree that it’s extremely important to spend money on making your home look attractive to buyers. Cleaning, decluttering, updating decorations, and repainting are some of the best ways to spend your time and money in preparing to sell. Everyone wants their house to sell quickly and fetch top dollar but I’m frequently amazed at the lack of effort some folks put forth to make that happen. This is great advice. Thanks for sharing it! Wow that looks like two totally different houses. What a difference a couple changes make. I’ve read many real estate books and come to the conclusion that renovating your home or property would probably give you a 3% boost at the most. More importantly, one needs to research and understand the real estate market prior to buying and selling. This improves your negotiation power and will probably give you a much better deal at the end of the day. There’re many free research tools out there. For properties in Singapore, you can look at StreetSine. For US properties, Zillow might be the closest. Most important is to look at how much comparable properties are selling for. You can then be assured of a good deal! What a makeover you gave your home! The before and after pics are amazing. Just goes to show what a little paint and polish can do. Will give your list of tips to my parents who have to sell their home soon. Thanks. Don’t forget for the patio concrete table, chairs, and bar-b-que setting. Also concrete kitchen counter tops custom made really bring a cost effective method of enhancing your house interior when you are looking for enhancements in decorating. Hey you had some really great tips about how to increase the value of your home. I did not think to use potpourri to increase pleasant smells when I was writing my own article about how to increase your home’s value. I also did not realize that by repainting you could seal some leaks. That is really interesting. The house looks far better its amazing what a lick of paint can do. I do like to see a house that is well presented and looks nice. In the UK we have many houses that resemble this one in the image. When I look at that home it makes me want to pack bags and move to the USA. Adding EIFS to make your house more energy efficient is a great idea — and it will end up earning you money in the long run. An average house would cost about $20,000 to renovate with EIFS. Of this, the government will reimburse up to $3,000 through their eco energy program. Add to this the statistic that fibre-cement siding (such as EIFS) recoups up to 88% of the cost of the renovation through increased home value, you’re looking at about $17,600 back into your pocket, for a “net gain” of $600 after recladding your home with stucco. Now take the average energy bill of $2,500/year, and take the average energy savings of 35% for EIFS due to it’s insulation. Over the course of 10 years (with inflation figured in), you’re looking at saving $10,565 — assuming current gas prices stay this “low”. All on a $20,000 renovation. Tell me that’s not worth the investment and I’ll show you someone who doesn’t understand investing. Another good way to increase the value of your home, is to really work on the outdoor living part of it. A great way to do this is to rock up your deck, or install a waterfall on your swimming pool. Another great thing to do is to have your roof washed. Most people don’t know the roof stains can be cleaned off by a professional roof washer. It’s usually a reasonably inexpensive process that will make the roof look like new. Your roof is the single largest surface that is “curb facing”, and many, many homes that are over 5 to 7 years old have staining on the north facing side. Potential home buyers make the assumption that your home needs a new roof if it’s heavily stained. Google or look one up in your area, most offer free quotes. I don’t usually like to spend too much time on it, but we own a property management company in Old Town Alexandria, VA. Sometimes when our property owners are getting ready to sell at the end of owning a property that’s been a rental for a long time, we have a ton of stuff to do, and 90% of it is really focused on the first 2 minutes that the prospective buyer is seeing the property. If you don’t hit them right then and there, you’re cooked…. The ‘after’ is certainly looking much better than before. It’s amazing how much even just a coat of paint can do for the appearance of a house. What most people do not get is that simple improvements to their houses like getting the roof fixed and leak sealed can really jack up the perceived price for that house. Thanks for this enlightening article and tips! This is a very encouraging article. Thank you for doing such a great job showing us that a little hard work around the house can pay back in such a big way. Window cleaning is an easy way to boost your curb appeal. Real estate agents in So Cal are in love with window cleaners! Good home improvement ideas shared with nice interior design concepts. As a real estate appraiser who is often brought in to give an opinion of value for homeowners who are about to put their house up for sale, one of the biggest mistakes I see is when homeowners have just put a bunch of money into their home for the explicit purpose of selling. Typically, they do a mid-high end remodel of the kitchen (and/or baths) – this is usually a mistake, because you almost never can expect to immediately recoup your expenses from such a remodel. The tips mentioned in this article are very sound advice…it’s all about improving appearance and keeping costs at a minimum. Pouring a bunch of money into a house that you’re about to sell is rarely ever a sound investment. Great list! This could actually make people a lot of money on their home sales if they stick to your advice. If you feel like putting in a bit of elbow grease (no more than a weekend’s worth), tiling or epoxying your garage floor should also increase the value of your home. It looks a lot better than just plain (or worse, stained!) concrete and really does give a wow effect when touring homes. I put up a couple quick tutorials on this at my garage floor website (at garage-floor.net) if you want to see how to do this. 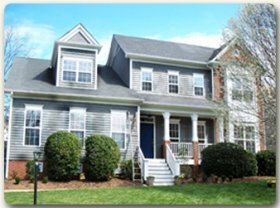 The siding and roof are two things that can easily make a buyer turn around before ever entering the home. Great list you have here! Your list is pretty comprehensive and complete. One of the last things that a person does when they put their house on the market is to have the carpet cleaned, or worse case scenario…the carpet is replaced. If instead, the carpet was kept clean throughout the year this problem would not be an issue. I sold real estate for 15 years and I have realized that a clean house is easier to sell especially if there are no unpleasant odors around. The small changes you make transform the place completely. It’s always the simple changes. Cleaning carpets up will also add value to your home and make them seem new and fresh which always appeals to people, because it will mean they won’t have to change them straight away. Great tips thanks!